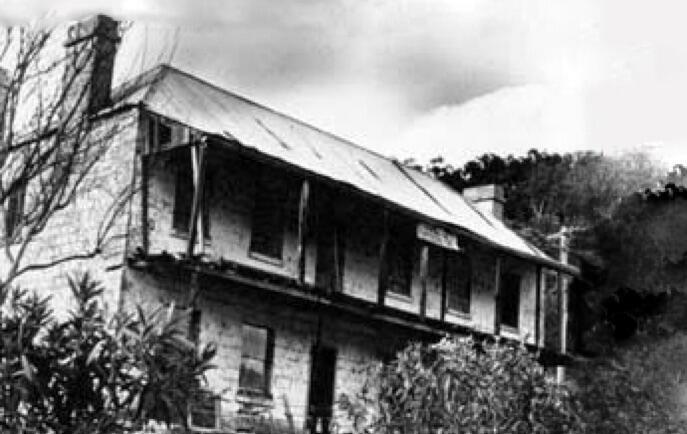 Built in the 1830s by the first convicts to the Hawkesbury Valley. The current owners have meticulously guided the property to it's current grandure through a process of rehabilitation and revegetation. 'Cross Park' was the name given to the 60 acre property at Lower Macdonald which had been promised to David Cross by Governor Macquarie. David Cross was born in 1799, the son of John Cross and Mary Davison. John had arrived on the Alexander in the First Fleet, having been convicted of stealing a sheep. Mary arrived on the Second Fleet. 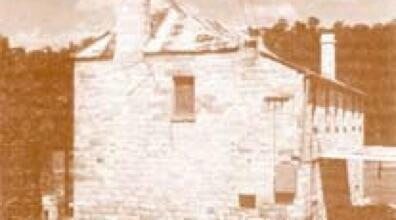 Although title of the land was not finalised until 1837, David Cross was settled there by 1828. The stone house was built in the 1830's, although the original building was depicted in an 1838 sketch by Conrad Martens as having dormer windows on the upper floor. It is probably that the roof was realigned about 1842 and the upstairs verandah was added when David applied for an innkeeper's licence. A licence for the 'Queen Victoria Inn' was granted to David Cross on June 28, 1838 and the licence was renewed every year until 1845 when David's son Johnny (b 1823) purchased the property from his father and took over the licence. Johnny mortgaged the property to William Walker, solicitor of Windsor for the sum of one hundred pounds, later increasing this to one hundred and fifty pounds. In 1859, two months before the mortgage was due to be repaid, Johnny disappeared overboard from the steamer New Moon and his body was never found. In 1861 the Supreme Court granted administration of the property to Johnny's wife Ellen (nee Douglas) and their eldest son John (b 1846). The mortgage was not repaid however and in 1870 Ellen Cross and her son John transferred their equity in the property to Thomas Greentree. Greentree's son Reuben had married Ellen's daughter Eliza in 1868. William George Chapman was a farmer in the Macdonald and the property remained in his family (firstly in the care of his wife Elizabeth following his death in 1883 and then to their son John Thomas Chapman following Elizabeth's remarriage). John Thomas sold the property in 1893 to John Anthony Fernance for a sum of eight hundred and fifty pounds. Although the stone building was initially licenced as the 'Queen Victoria Inn' in 1842, the name of the licence changed to 'Victoria Inn' at one stage and later it became the 'You Are Welcome Stranger Inn'. For a number of years late last century the licence was owned by members of the Sternbeck family, so the inn was also known as 'Sternbeck's Inn'. The licence was allowed to lapse late last century and the building has remained a private residence since that time. Explore the history and beauty of Cross Park through our image gallery below.